A man was shot last night around midnight in the 1700 block of West Virginia Avenue NE in Trinidad. Fox5 and WUSA9 are both reporting that the victim, who has not yet been publicly police later identified as 25 year-old Donald Lewis (of NE), has died. The original crime alert, with lookout information appears below. 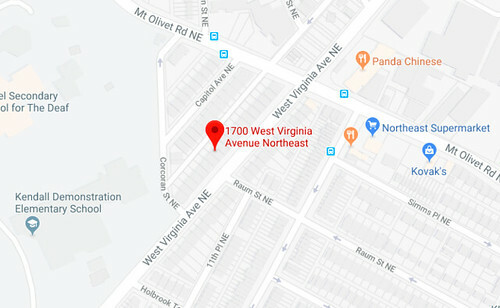 Alert: Shooting at 0001 hrs in the 1700 block of West Virginia Ave NE. Lookout for (2) B/Ms wearing dark jackets and jeans last seen heading west bound on West Virginia Ave NE. In a separate case, Mayor Bowser and MPD announced the arrest of 20 year-old Malik Morris for the Nov. 26 murder of 20 year-old Randall Francis in the 1800 block of Benning Road NE. Morris has been charged with First Degree Murder While Armed (Premeditated). Police originally named Morris as a suspect in the homicide on Nov. 28. According to an article in The Washington Post Morris was arrested Dec. 6 in Slippery Rock, Pennsylvania. He was extradited to the District yesterday. Why didn't either of these outlets report that the victim was holding his one month old son when he was killed?